Galapagos – a place or a parable for our time? Ironically, the very individual who put the islands of the Galapagos on the humanity’s mental map was an unconscious traveler, whose arrival in 1835 did so much to enhance mankind’s awareness & understanding of Nature while starting a potentially destructive trend on the islands themselves. At the moment when Charles Darwin first stepped ashore, he was probably unaware that he and his human companions were not the only life forms to invade this exotic yet very fragile ecosystem. But inevitably a few claustrophobic rats from the ship, along with fleas, microbes, plant seeds and spores made it to land, chose to stay and, in so doing, accelerated the change in ecological balance that has been developing ever since. 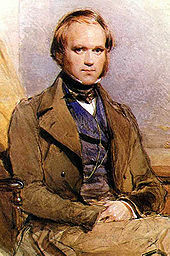 Were we able to reach back in time and persuade Mr. Darwin to join us on a modern day visit, he would be in for a shock. Of the 450 species currently identified, there are now 106 that are considered critically endangered and a further 90 are classified as highly vulnerable. Some species of giant tortoise and the Galapagos mouse have disappeared completely. There could be many other species that became extinct before we were able to identify them. The BBC’s excellent documentary on the Galapagos Islands is available on You Tube here. While experts and opinion makers both within and outside Galapagos disagree on solutions, there is consensus on one key point. Galapagos is both a place and a metaphor/parable. Andrew Marr, the well known journalist and TV presenter, who is also President of the Galapagos Conservation Trust, argues here for significant reduction in visitation and has vowed to “walk his talk” and never return so that he is not part of the problem of rising demand. 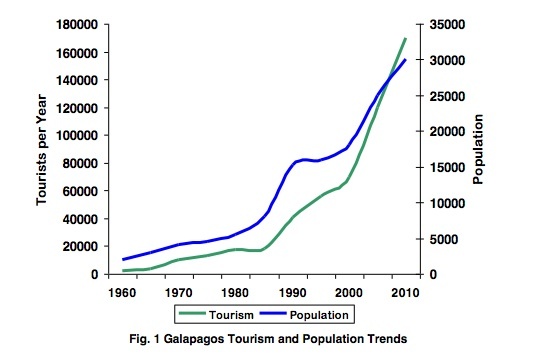 In this article, Galapagos Needs Tourism to Survive, Marr’s media colleague and acclaimed naturalist, David Attenborough, on the other hand, describes tourism as a “necessary evil” which provides income to islanders and conservation but which must be controlled. I was exceptionally privileged to have been invited by Freddie Ehlers, Ecuador’s Minister of Tourism, to accompany him and several other fortunate participants of the recent combined event (UNWTO’s Tourism & Ethics Conference and the OAG Annual Tourism Ministers Summit) and spend three days exploring the eastern islands of this precious archipelago. To be frank, I departed Galapagos with very mixed emotions – the human history of this place makes for very depressing reading (it’s as if the very rocks keep trying to kick off the most invasive species of all time) yet the wild and natural landscape – despite its brooding clouds and undeniably strange and exotic character – also evoked a profound sense of peace and trust in Nature’s ability to adapt, endure and evolve. Given that the theme of the UNWTO/OAG event was “Turismo Consciente” I can’t think of a better location to jolt delegates into a wakeful awareness of the profound challenges facing tourism growth on a finite planet. Population pressure – the number of residents has increased ten fold from under 3000 to 30,000 plus in 50 years. Popularity – the number of visitors has exploded from 40,000 in the 1990s to 180,000 in 2011 and is growing at well over 5% per year. A widening gap in mindset and aspiration between residents, understandably desirous of a decent life, and visitors/conservationists who fear for its ecological destruction. The as yet unknown impacts of climate change and an increase in extreme weather events on the existing ecosystem. It isn’t as if people don’t care or are not concerned, committed and active. But while these efforts are digested, the number of visitors and residents continue to increase and investments are made which are difficult to undo. 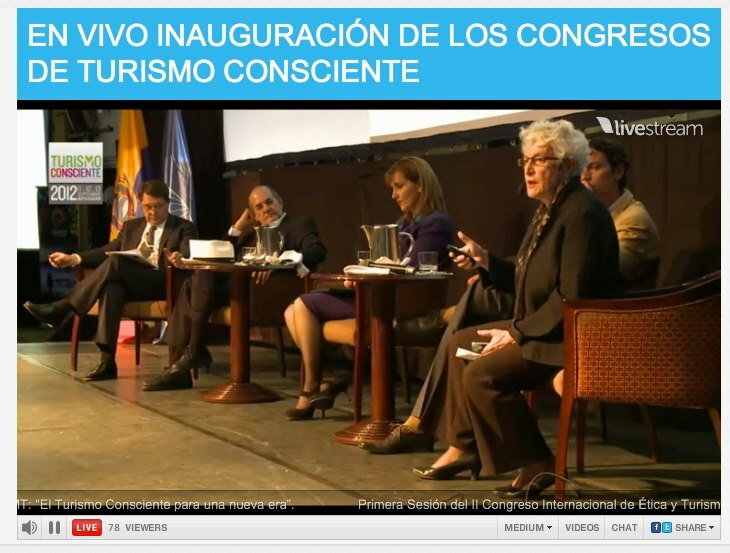 I have enormous admiration for Ecuador and their introduction of Turismo Consciente as a concept (the original concept paper presented to the OAG in April 2012 is available here) – but now the hard work of making it a reality must start. Even though the future of Galapagos must be considered within a broader national context (Ecuador has so much else to offer the discerning traveler), all eyes in both the tourism and ecological community will now be on Ecuador’s performance as custodian of the unique jewel in Ecuador’s crown. 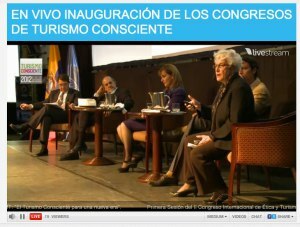 Unless, a tangible shift in the present development trajectory of the Galapagos can be made that does indeed provide value to all stakeholders, the term Turismo Consciente will be just another bright star that proves to be piece of galactic debris burning up as it enters a resistant atmosphere of greed and self interest. But based on my experiences in Ecuador earlier this month, I have every confidence in my new Ecuadorian friends to tackle this challenge with dedication, insight and imagination. Let’s do all we can to give them encouragement and assistance! In the meantime, I am pleased to share some of the images I was fortunate enough to bring back with me. The first slide deck is of landscapes and the second animals. Muchos Gracias Freddie Ehlers and team for such an inspiring and likely life changing experience and for letting me participate in such an historic event. Thanks for this article and for reporting Back to us after the conference!